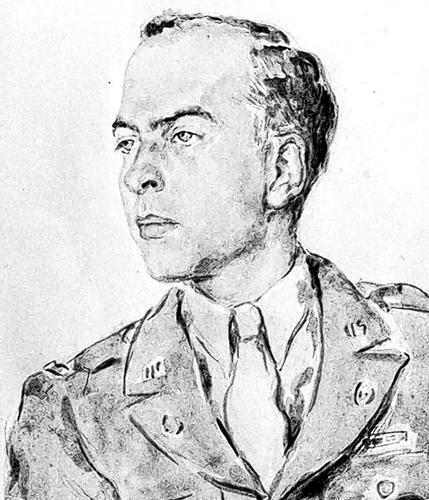 Lieutenant John D. Skilton Jr.
A cultured man with a love of art and a quiet dedication to his calling, John Davis Skilton Jr. grew up in Connecticut and graduated in Art History from Yale with a specialty in pre-revolutionary American prints. 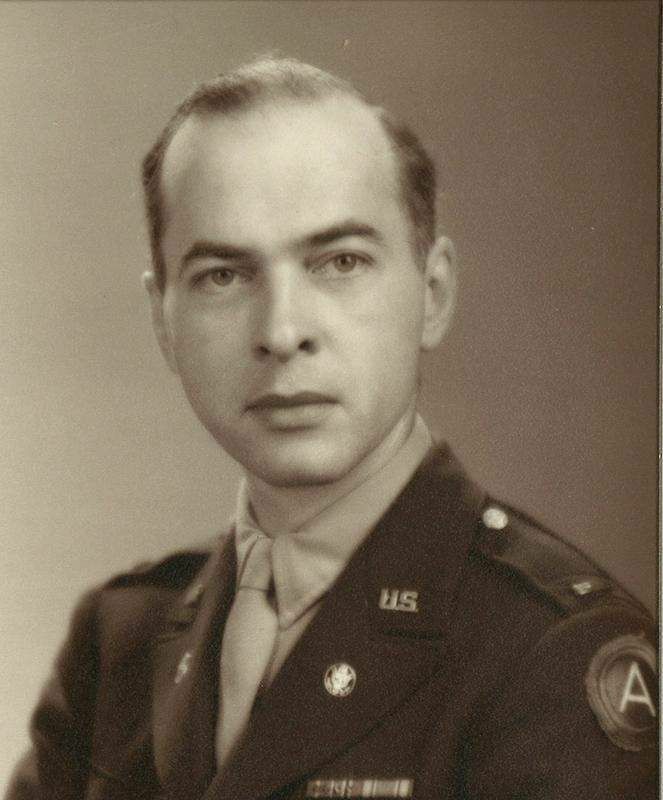 After graduation, he worked for the National Gallery in Washington and for a time was responsible for guarding the treasures of the National Gallery collection in Biltmore House in North Carolina, where they were moved at the outbreak of World War II. Photographs of Skilton show a slender, fair, dapper young man with thinning hair and a disarming smile. In his autobiography there’s a telling snapshot of him chatting with Salvador Dalí at a party before the war. The two men are standing underneath a Calder mobile. Dalí, wearing black tie, looks at Skilton with wolvish attention. Skilton, in white tie, is clearly unfazed. It’s as though he knew things were about to get much stranger than this for him, if not for the arch Surrealist. 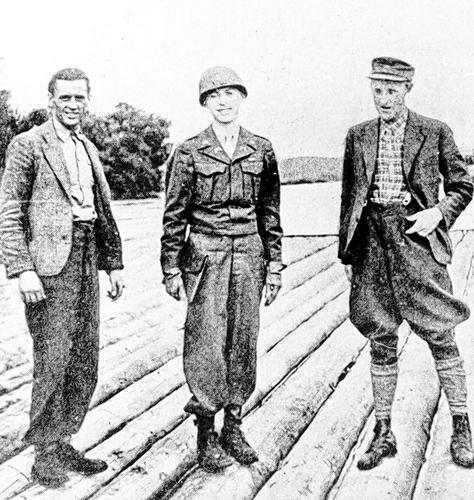 Skilton joined the army in 1943, serving first with Civil Affairs and later as a Monuments Specialist Officer in occupied Germany. Working with a crew of German architects and laborers, he rescued the frescoes Giambattista Tiepolo and his sons painted in the Prince-Bishop’s Residence in Würzburg, now a world heritage site, as well as other important artworks in Germany and France. His autobiography, Memoirs of a Monuments Officer, provides Skilton’s first-hand account of these experiences and was my chief source of information about him and his work in Würzburg. After the war, Skilton continued his services to the arts as a civilian. He held positions at the Detroit Institute of the Arts and Park Bernet Galleries in New York. He was a member of the American Academy of Poets and a fellow of the Pierpoint Morgan Library. He served on the board of directors of the Spoleto Fesitval, and, for thirty years, was president Marcella Sembrich Memorial Association. When Skilton died in 1992, his contributions to culture were recognized more in Europe than in his home country. France made him a Chevalier de la Légion d’Honneur for his wartime services. Bavaria and the city of Würzburg both bestowed on him their highest honors. Still largely unknown in the US, he earned a brief mention in Robert Edsel’s popular book, The Monuments Men, but did not appear as a character in George Clooney’s movie of the same name. A quick of the internet shows his only Wikipedia entry, even now, to be in German. Order Skilton’s Autobiography: Memoirs of a Monuments Officer HERE!